Ahhhh...the lazy days of summer! No alarm clock, no lunches to pack, no homework to finish. No complaints from the kids, right? Wrong! How long did it take before you heard those dreaded words, "Mom, I'm bored!"? I think we had about three days of summer vacation before one of my kids decided there was nothing to do. Although I can't guarantee you a boredom-free summer, I can share with you some of our favorite (cheap) summer activities. Water, water, water! Nothing beats the heat like jumping in a pool. We also take picnics to a local lake that has a swimming beach, play in our sprinkler and find creeks to stomp in. Several places in the Atlanta area also have fountain areas for the kids. We did this a lot when our kids were younger. Toddlers are just fascinated by water shooting up out of the ground! Life is always better with a friend. This holds true for all four of my kids, from the nine year old to the 18 year old. Having a friend around is always fun. The younger boys will usually play video games for awhile and then go to the backyard for whiffle ball or basketball. The teens usually watch movies, play frisbee, work out or just "hang out". Visit a new park. New playgrounds, walking trails and sports fields are always enticing. Make homemade ice cream. This has been a favorite of mine since I was a child. I have, however, gone "hi-tech" and purchased an electric ice cream churn. No more turning the crank by hand! Our biggest decision is whether to go with plain vanilla or try a new flavor. Clean out the toy box or a closet. Ok...I know you are thinking that I have lost my mind. However, my younger kids always find lost or forgotten toys that lead to several days worth of entertainment. Roast marshmallows. My younger boys love this. We just build a little fire in our charcoal grill and have a good, ole' sticky time. Learn to sew. My younger boys had favorite t-shirts that they refused to give up, even though they had definitely outgrown them. My daughter helped them make pillows out of the shirts and some basic pillow forms. The stitching would not pass Martha Stewart's approval, but the boys had fun and still have the pillows on their beds. Get rollin'! Bring out the bikes, wagons, scooters, rollerblades, ripsticks, etc. Put on your helmet and have some adventures. Visit your local library and stock up on summer reading materials. Teach your kids how to do crossword puzzles, word find puzzles or soduku. Free museum days. Check with your local museums to see if there are free admission days. We took our boys to the Federal Reserve in Atlanta last summer. Popcorn and Movie Day. We just watched the original Return of the Pink Panther. Get back to nature. Plant seeds, make birdfeeders, dig for rocks or hunt for the perfect stick. Yes, my boys will tell you that there is such a thing as the perfect stick. Based upon the collection of sticks in my backyard, I think they are still hunting for perfection. Star gazing. My daughter recently discovered that the Fernbank Science Center in Atlanta has free star gazing from their observatory on Thursday and Friday nights. She and a group of her friends did this a few weeks ago and really enjoyed it. 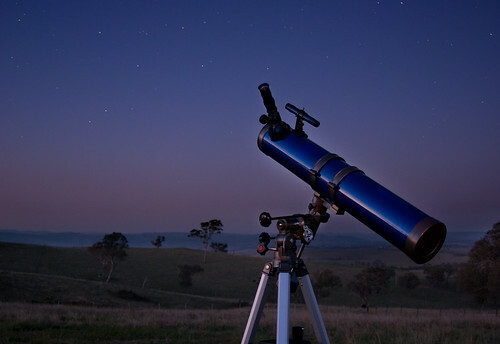 Even if you are not in the Atlanta area, you can let your kids stay up a little bit late and enjoy the stars from your backyard. Most importantly, have fun with your kids and enjoy the break from school. What are your favorite summer activities with your kids? 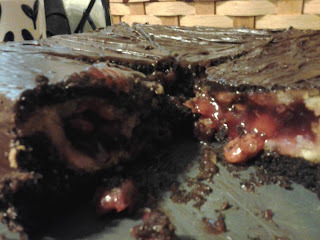 ***Update 6/26/12: My son and his friends made the "pake" today. 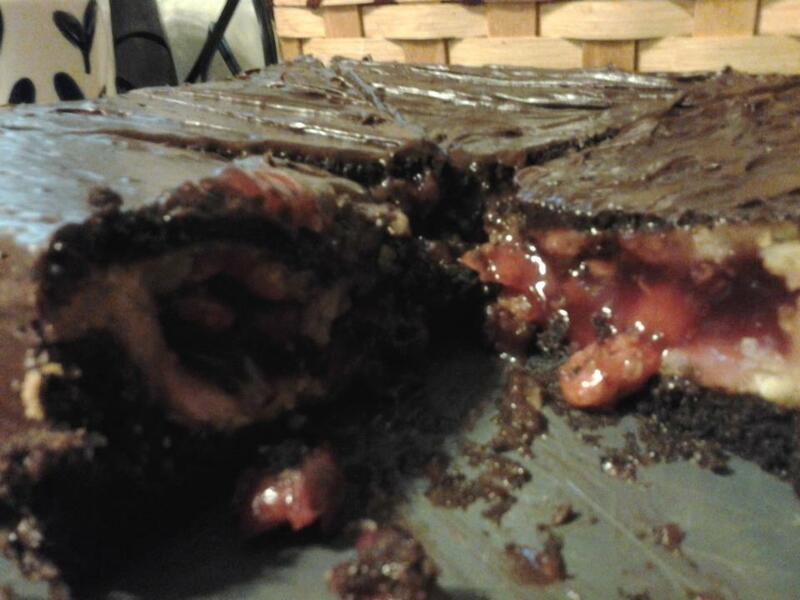 Cherry pie inside of a chocolate fudge cake with chocolate icing! YUM! We always enjoyed just playing sports outdoors. My brother and I were always pretty active, so we were either playing hockey in the street, basketball in the backyard, or throwing around the baseball. You can never be bored when you're a kid and have friends, right? My daughter has now got to that age (13) where she doesn't want to do anything with us anymore. She just wants cash to do things with her friends! It does save effort, but sometimes it would be good to do things together. I know what you mean. You want them to be independent but it can be bittersweet at times. Whoa, that's quite a list. Thanks! We're definitely going to be making homemade icecream and roasting marshmallows once we finish the backyard. Also, our yard has a perfect slope for a slip n' slide! I also want to setup an outdoor movie night soon! Oh my goodness...I forgot about the slip and slide! I may have to get ours out this weekend! That is a good list. When I was a kid we had to entertain ourselves and we didn't have much money so outdoor activities were popular. My brother and I grew up in the country so we were outside most of the time as well. Most of our time was spent playing in the woods or creek and catching grasshoppers/frogs, etc. My sister and I are on a mission to make a dress each this summer. We're not teens anymore, but learning a new skill is always exciting. Have you done the homemade ice cream using two plastic zip lock bags? Lots of fun. I haven't heard of it! Sounds like a job for Google. And...maybe a Father's Day treat! Sounds like your kids have some fun adventures every week! We used to have a "weekly" schedule. It gave the children something to look forward to everyday. Monday - library; Tuesday - swim. Wed - church. Thurs - park. Fri - sleepover. Sat - "field trip" zoo, amusement park etc. This gave us something special to look forward to everyday! Of course that doesn't include catching fireflies, making s'mores, and tubing down the river. Have s great summer! I love the weekly schedule concept. However, sleepovers every week might make me jump off a cliff! Visiting free museums is a great idea. I need to take advantage of visiting the museums we have in the Washington, DC area. We have visited the DC area twice with our kids. Both times were to visit relatives but we took a day or two for site seeing. The museums were amazing! The Mall has such a distinct atmosphere, unlike any other city. I just love it and it was a great experience for the kids. There are so many fun things do bust boredom in the summer that are also healthy for kids. I like your swimming and park ideas because it really gets kids moving.